Based on Kristin Moura’s previous singles, and the title of her latest release, “Tidal Wave”, I were expecting a brash, thunderous pop-dance track packed to the brim with monstrous hooks that attempt to outdo each other in crass loudness. Instead, we have a project that’s part dance, a few parts pop, and several parts sophisticated elegance. Looking at it like that, it’s not hard to view this song as an Adrenalin-packed, but perfectly restrained pop anthem. “Tidal Wave” packs just the right amount of balanced energy and melody, making it a more than engaging listen. This pushes forward further expectations from the Boston performer and really showcases her strengths. This way, she steps up towards all her influences and even a lot of contemporary pop stars. This is a magnificent outing for Kristin Moura with some interesting backing instrumental work and gorgeous vocals that makes for arguably her strongest pop track thus far. Moura’s voice is concentrated on the melody and communication of the lyrics, rather than attempting vocal pyrotechnics simply to show off her wares, a common trap many would-be divas love falling into. Instead Kristin seems to be at the service of the song, maintaining a controlled and nuanced performance. Kristin Moura absolutely shines as a pop singer. Her voice is, quite frankly, massively enchanting. Watching her music videos shows an enthusiasm and lack of self-consciousness and pretension rarely seen in her contemporaries, and a closer look at some of her songs shows a hugely impressive range and a knack for interpretation. While she generally sits comfortably in her usual range, every once in a while, she lets loose, and her voice absolutely soars, without hesitation or any lack of power. “Tidal Wave” is a song that anyone can enjoy, and is especially recommended to those who enjoy nice, mid-paced, melodic music with a relatable story-line. Throughout, Kristin Moura’s clarion voice is front and center on the track, cementing her as a maturing artist rummaging for a distinctive sound. Her willingness to own every step and to show her audience how she is keeping a forward momentum makes this track a surprisingly compelling listen. Highlighting Kristin Moura’s powerful all-round performance and talent. This record showcases a constantly growing and confident singer and performer; along with the stunning “Once Called Home” – which also won a best video award a while back – “Tidal Wave” is vastly more sophisticated than some of her previous releases. One can only hope that it is this side of Moura that continues to make music in the coming years. At her absolute finest when she is pouring out her heart into her performances, this is a track that will help launch Kristin Moura to a new level. 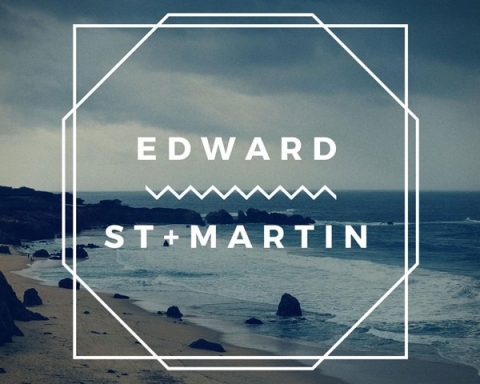 Hailing from San Diego, Edward St. Martin has a background in film composition and classical music.